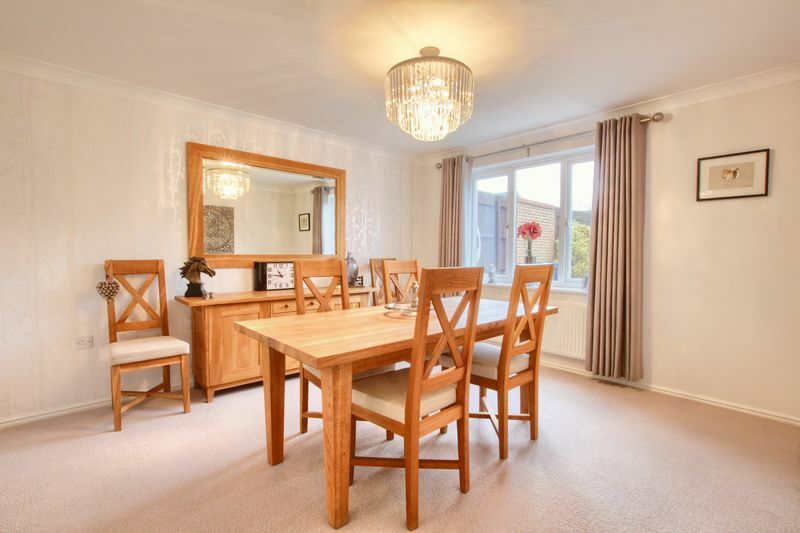 Occupying an enviable corner plot on the ever prestigious and highly sought after 'Regency Gardens' development, is this simply stunning five bedroomed detached family home. 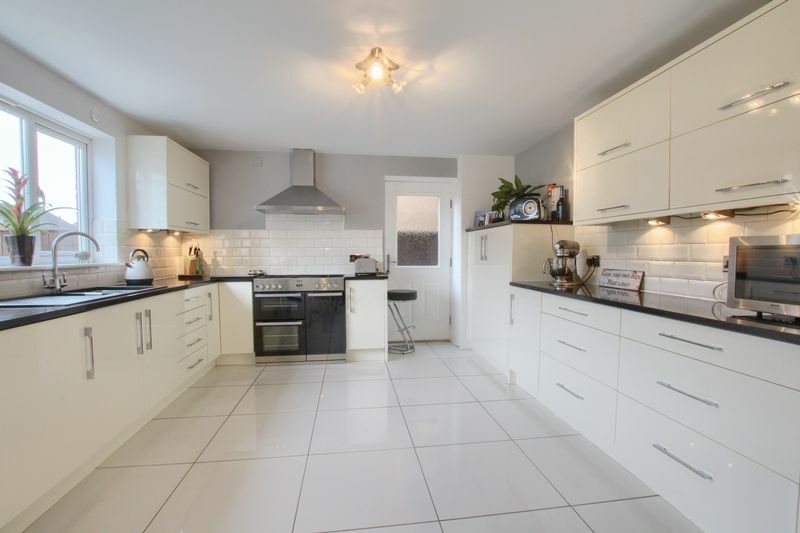 This property is bursting with key features from a west facing garden to a stunning fitted kitchen. 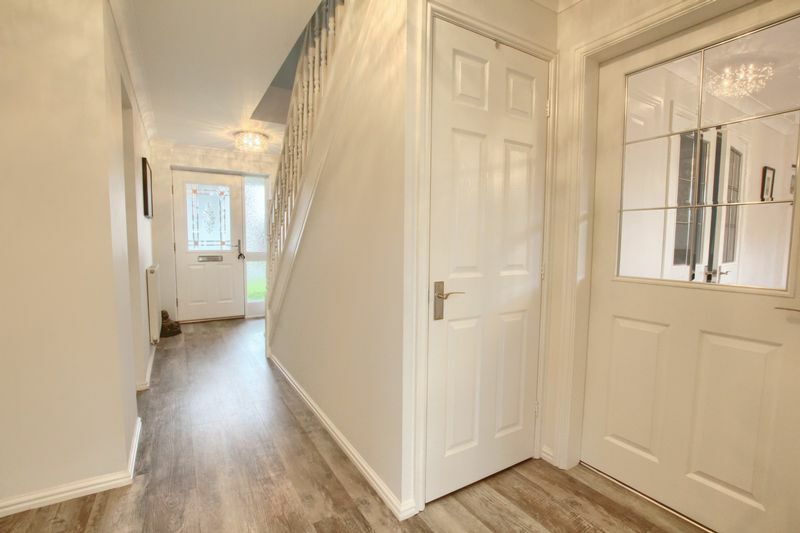 The property benefits from gas central heating and uPVC double glazing and principally comprises; entrance hall. living room, dining room study, cloak / WC, kitchen and conservatory. 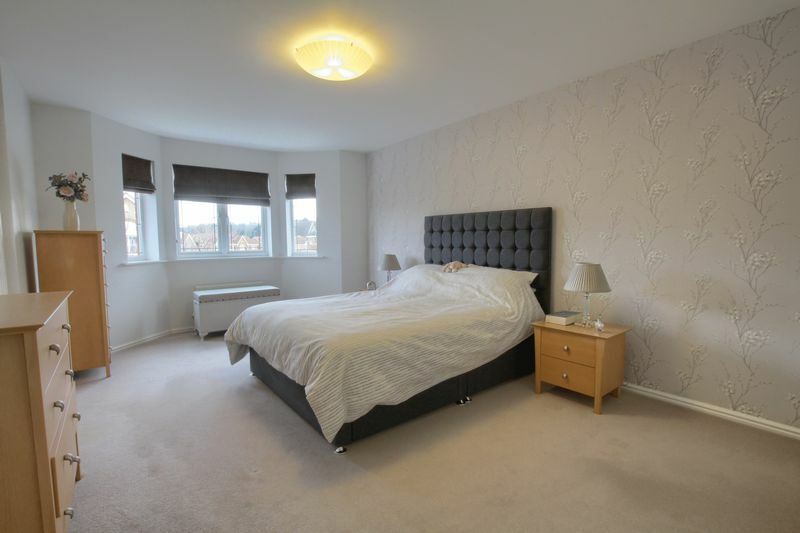 To the first floor; master bedroom with en suite, bedroom two with en suite and three further well balanced bedrooms. 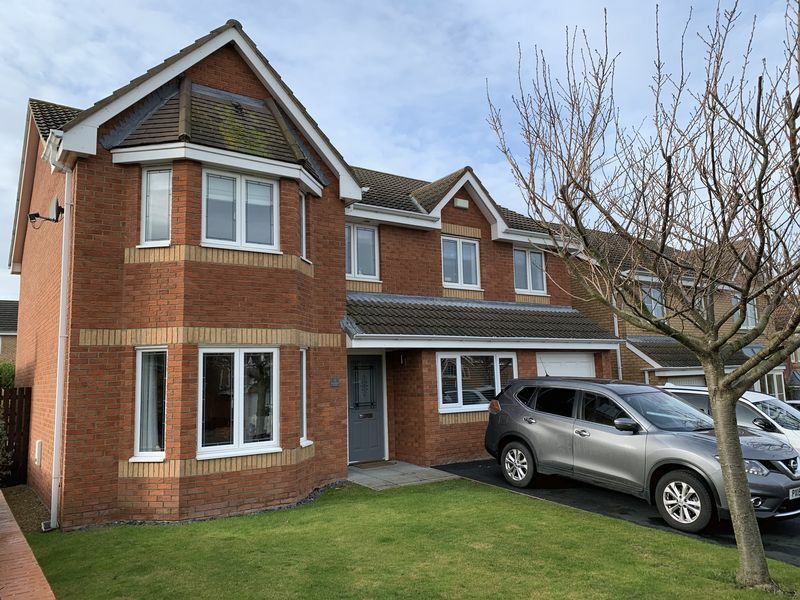 Externally; driveway with integral garage and gardens to front and rear. Only through internal inspection can the many qualities that this property has to offer be fully appreciated. 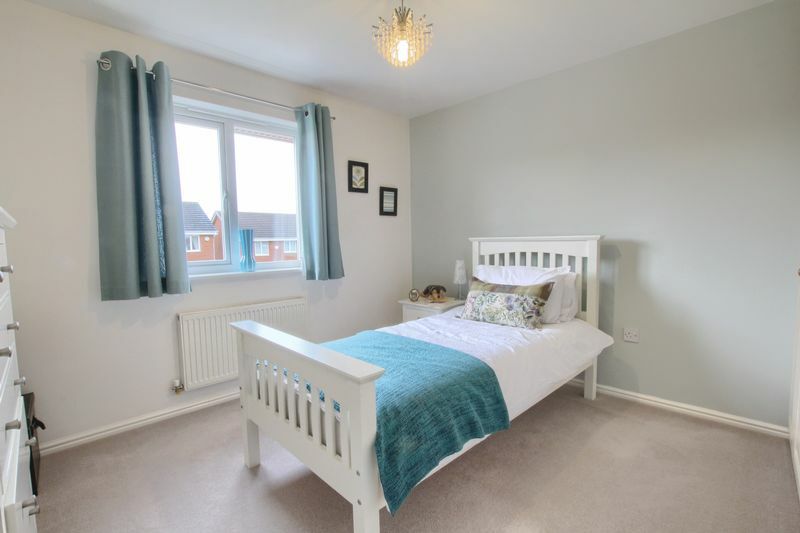 Occupying an enviable corner plot on the ever prestigious and highly sought after 'Regency Gardens' development, is this simply stunning five bedroomed detached family home. 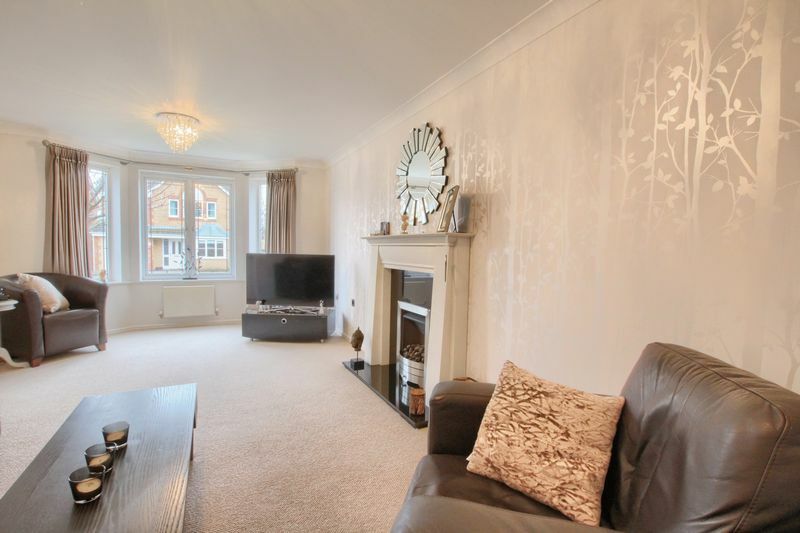 This property is bursting with key features from a west facing garden to a stunning fitted kitchen. 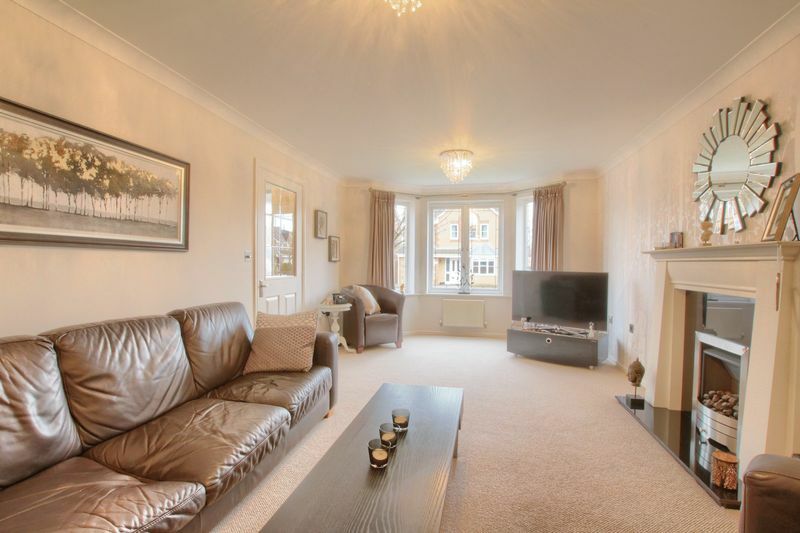 The property benefits from gas central heating and uPVC double glazing and principally comprises; entrance hall. living room, dining room study, cloak / WC, kitchen and conservatory. 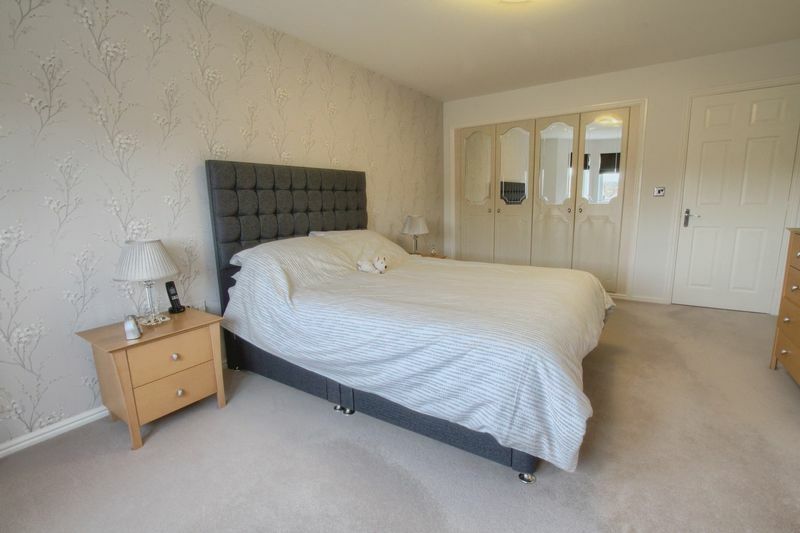 To the first floor; master bedroom with en suite, bedroom two with en suite and three further well balanced bedrooms. 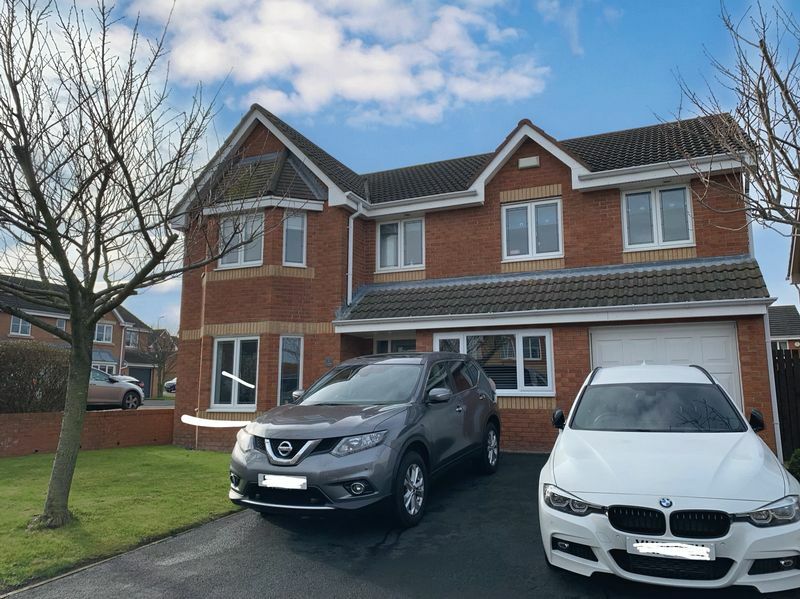 Externally; driveway with integral garage and gardens to front and rear. Only through internal inspection can the many qualities that this property has to offer be fully appreciated. A warm and welcoming space giving the first impressions of a beautiful family home. uPVC double glazed entrance door to the front with adjacent window. Double radiator, stylish 'Moduleo' flooring, useful under stairs storage cupboard and attractive spindle staircase to first floor. Partially glazed double doors into kitchen / breakfast area. uPVC double glazed bay window to the front, feature gas fire with decorative surround, double radiator and coved ceiling. Partially glazed double doors to dining room. uPVC double glazed window to the rear, double radiator and coved ceiling. uPVC double glazed window to the front and wall mounted electric heater. 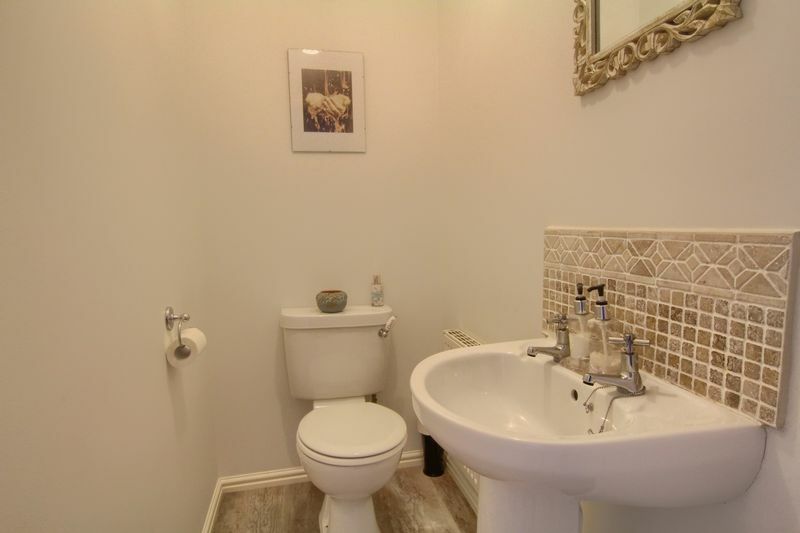 White suite comprising low flush WC and pedestal wash hand basin with tiled splash back. 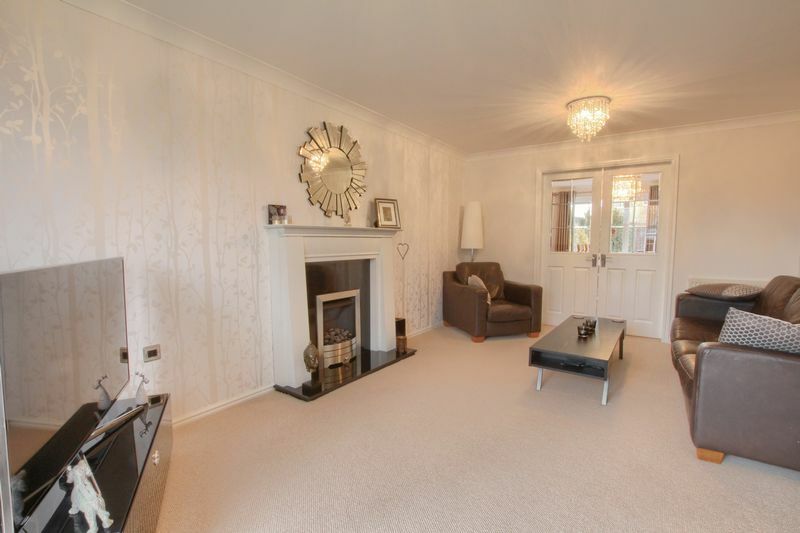 Stylish 'Moduleo' flooring, double radiator and extractor unit. 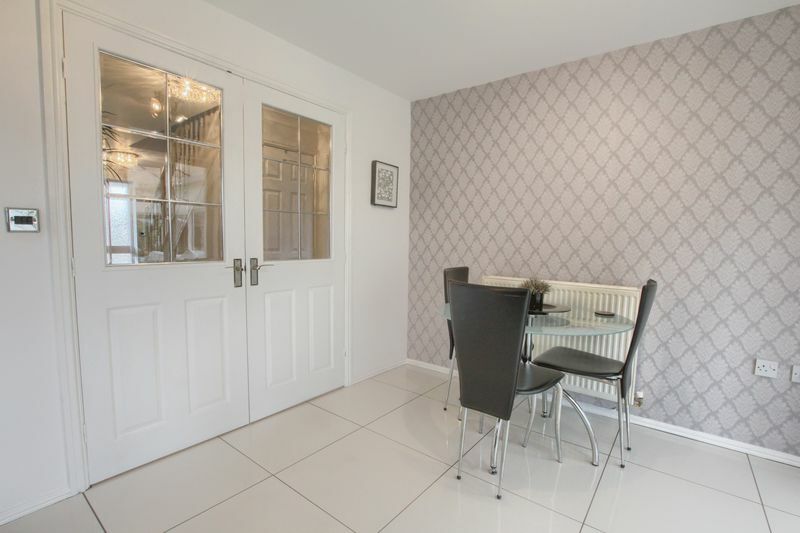 A fantastic entertaining space with a modern range of wall and base units incorporating drawers, granite worktops and complimenting tiled splash back with the popular Metro style finish. One and half bowl composite sink with mixer tap, range style cooker with stainless steel cooker hood over. Integrated washing machine, integrated dishwasher and space for upright fridge freezer. 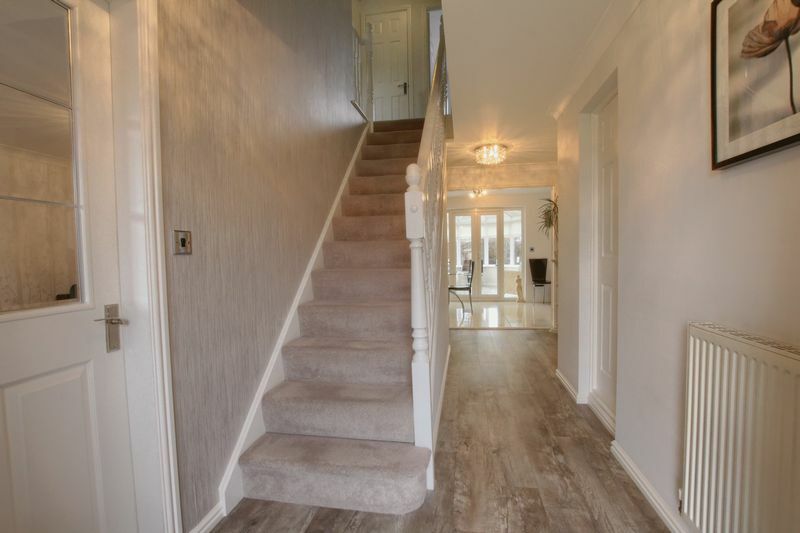 Stunning porcelain tile flooring and double radiator. uPVC double glazed entrance door to the side giving access to the rear garden, uPVC double glazed window and French doors to the conservatory. 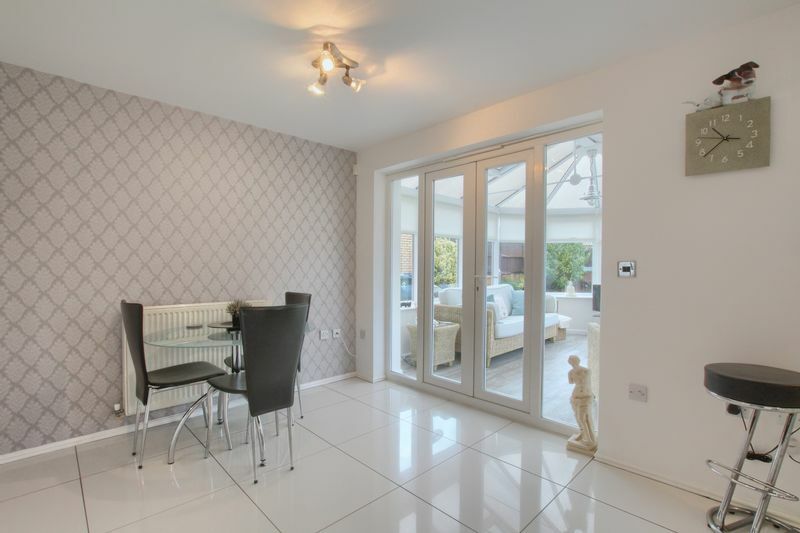 Stylish 'Moduleo' flooring, two remote controlled skylight windows and underfloor heating. uPVC double glazed French doors to the rear garden. Attractive spindle balustrade, useful storage cupboard housing hot water tank. Access via retractable ladder to partially boarded loft space having power and light. uPVC double glazed bay window to the front, double radiator and built in wardrobes. 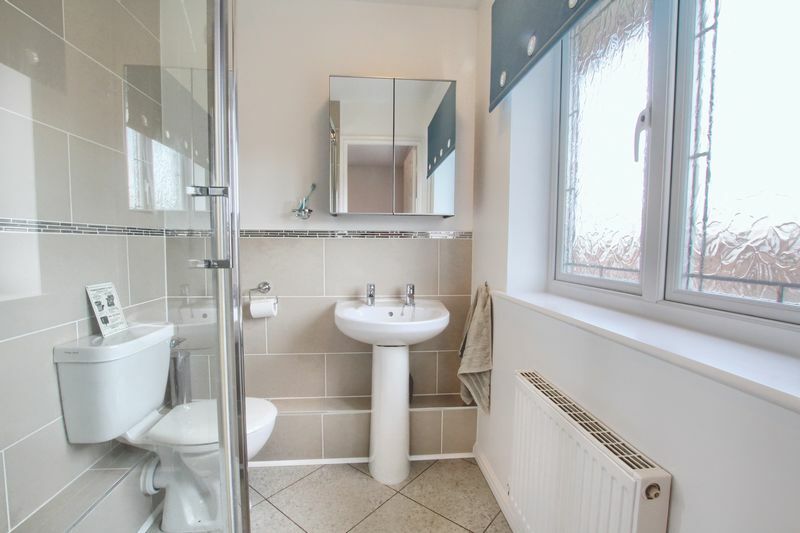 White suite comprising glazed shower cubicle, low flush WC, vanity wash hand basin with mixer tap and tiled surrounds. Stylish 'Karndean' flooring, double radiator and extractor unit. uPVC double glazed window to the front. uPVC double glazed window to the front, double radiator and built in wardrobes. White suite comprising shower cubicle, low flush WC and pedestal wash hand basin. 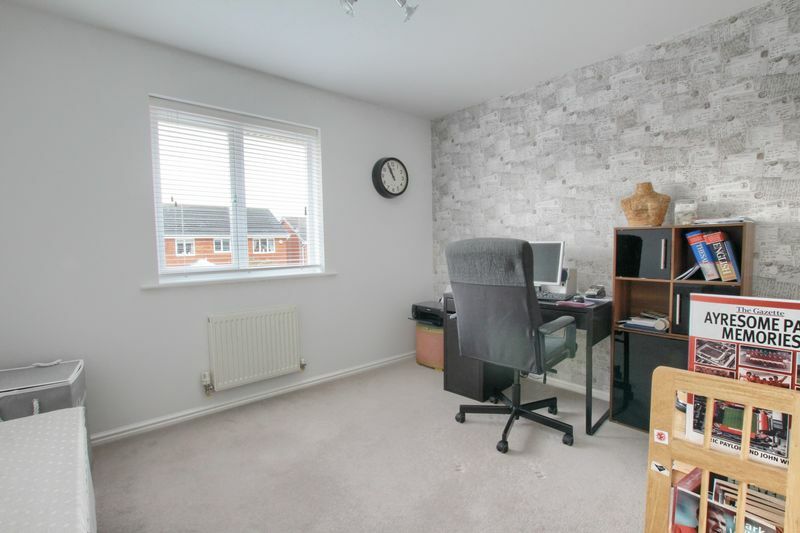 Half tiled walls, double radiator, extractor unit and uPVC double glazed window to the front. uPVC double glazed window to the rear, double radiator and built in wardrobes. 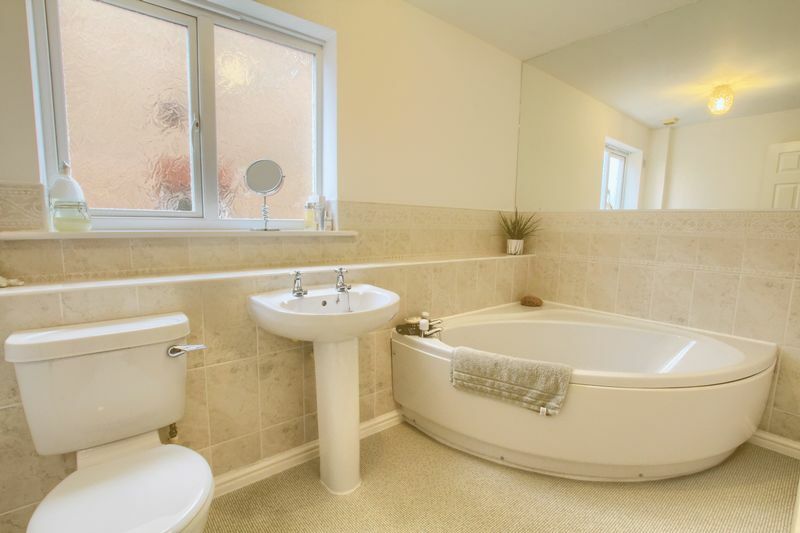 White suite comprising corner bath, low flush WC and pedestal wash hand basin. Mirrored wall and half tiled walls, double radiator and extractor unit. uPVC double glazed window to the side. Double width driveway leading to the integral garage and offering ample off street parking. 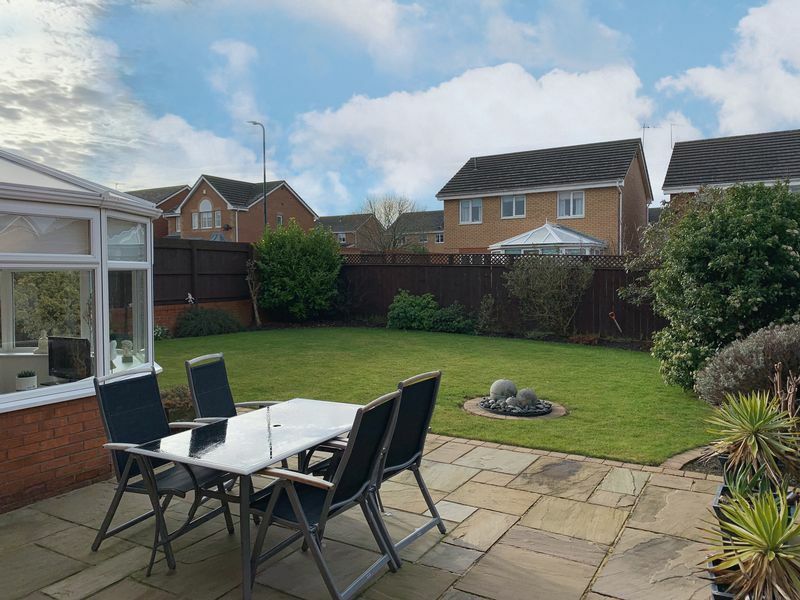 The front garden is laid to an open lawn with side dwarf wall with attractive border of plants, shrubs and mature trees. 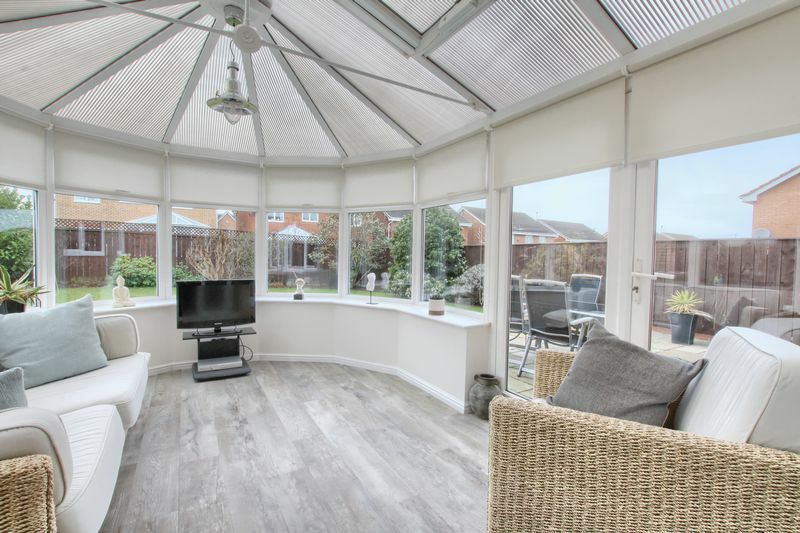 The fully enclosed rear garden offers a good degree of privacy and enjoys a West facing aspect making the most of the evening sun. 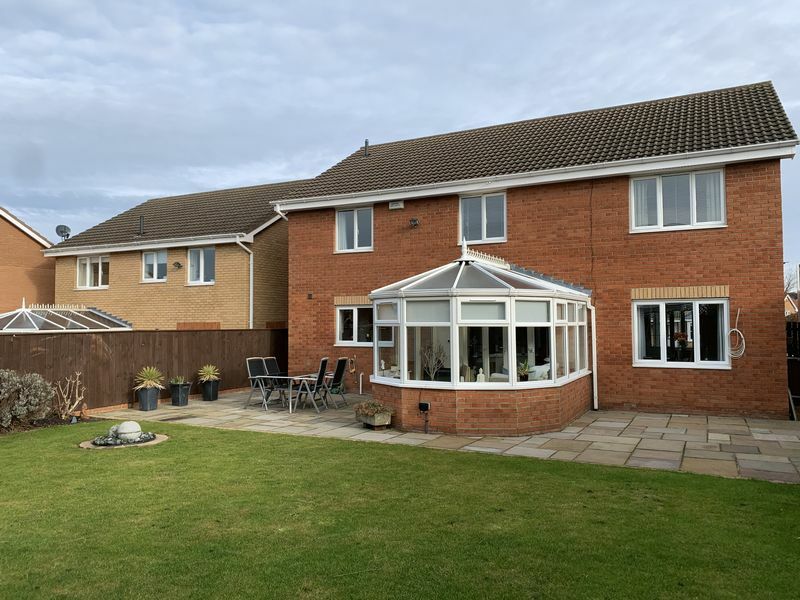 The garden begins with an attractive Indian sandstone paved patio area extending to lawn having attractive borders of shrubs and plants and further boasting security lighting, cold water tap and side access gate.